Note: I struggled with the idea of posting this review for quite some time after returning home from Couple’s Tower Isle. 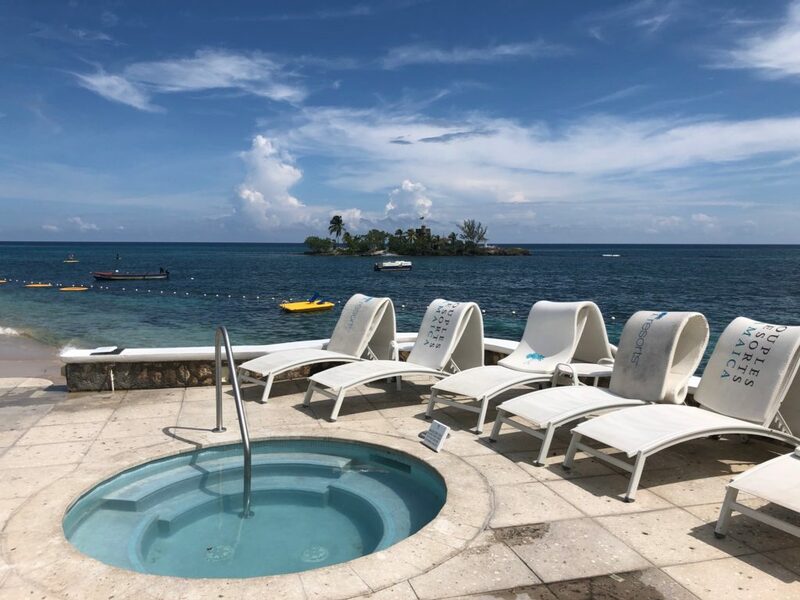 I hate to post what many would consider a negative review, but the truth is that I feel it is important to pass this information, and my first-hand experiences along to other disabled travelers considering a visit to Couple’s Tower Isle resort. I have no axe to grind against Couple’s Tower Isle, and I honestly think that anyone who is not mobility limited or visually impaired would have a great time at this property. With that out of the way, lets get to the review. My wife and I visited Couples Tower Isle with a couple of friends recently. 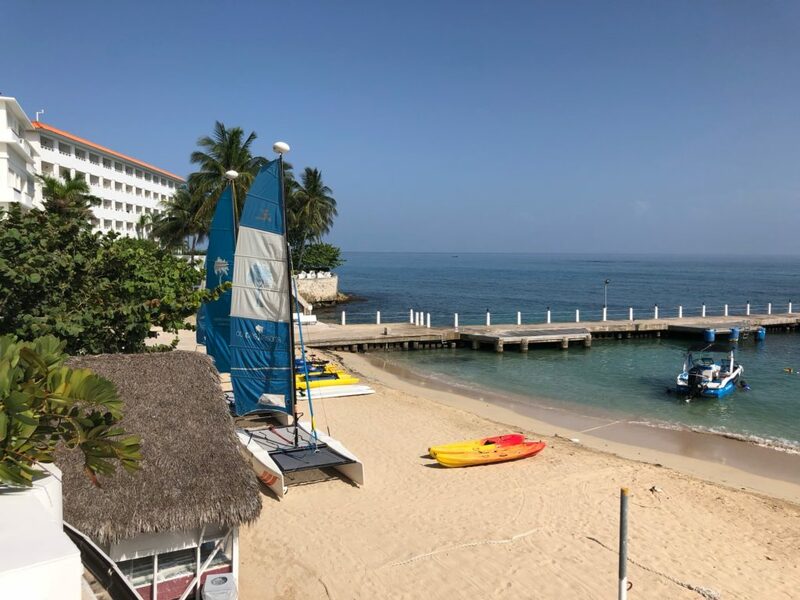 This beautiful beach resort is considered the Couples flagship resort, Tower Isle was built in Ocho Rios in 1949, the property was the first resort built on Jamaica’s undeveloped north coast. 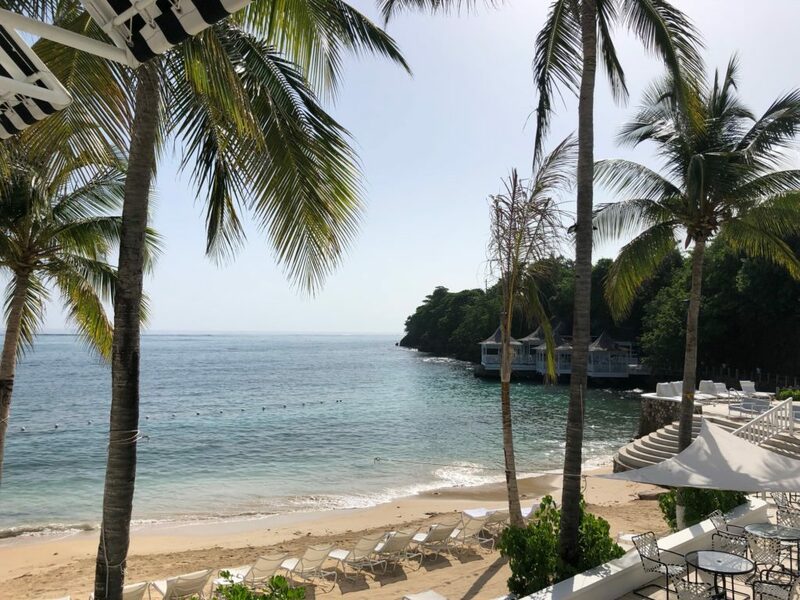 In 1978, founder Abraham Issa introduced the “all-inclusive, couples-only” concept to Jamaica and the Tower Isle was renamed Couples Ocho Rios. The resort embraces its classic Art Deco design and has an updated classic feel. When I review a hotel or resort, I always ask to speak to a manager when I check in, so I can give them contact information and details about the review I will be posting after my stay. I have to say that I was very disappointed with the management staff at Couples Tower Isle, I was told to check back the following day to speak to the manager, then later that afternoon then the following morning. On the third day when I was ready to give up I was told the manager was not on site. They asked when I was checking out which I told them Saturday, and they quickly told me that the manager would not be back on site until Sunday. I was taken aback at the lack of communication, and seemingly blatant avoidance from the Couples management. After spending a week at the resort, I can fully understand that someone there to review the resort based on accessibility was not welcome. 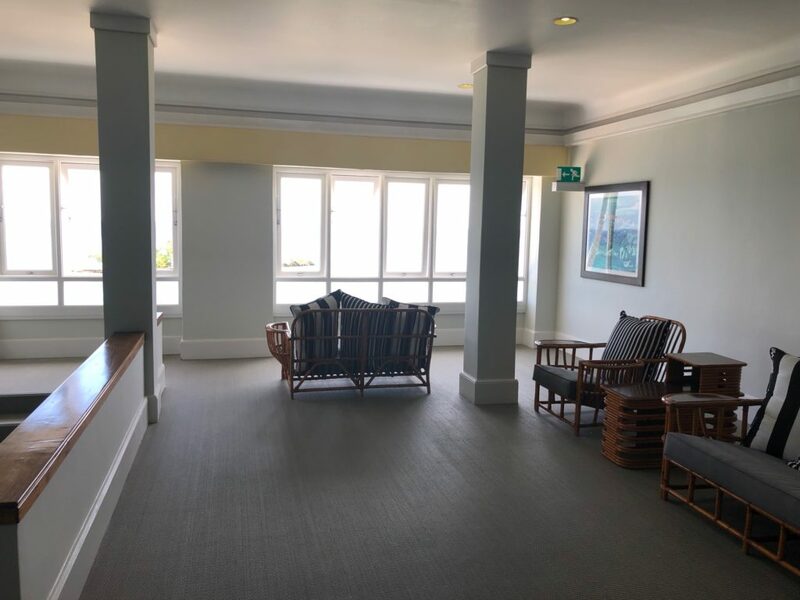 Overall the accommodations for the visually impaired, let alone those with mobility impairments was dismal compared to other Couples Resort Properties. Traveler’s note: I would not recommend bringing a guide dog to Jamaica as a visitor from the United States. The only information I could find was regarding the UK and Ireland being the only places that can legally bring dogs into the country. I utilized my white cane (I recommend always bringing your cane when you travel) and sighted guide with my travel companions while on this trip. First things first, this is an all-inclusive resort for couples. So, no single guys trolling, and no kids running around. 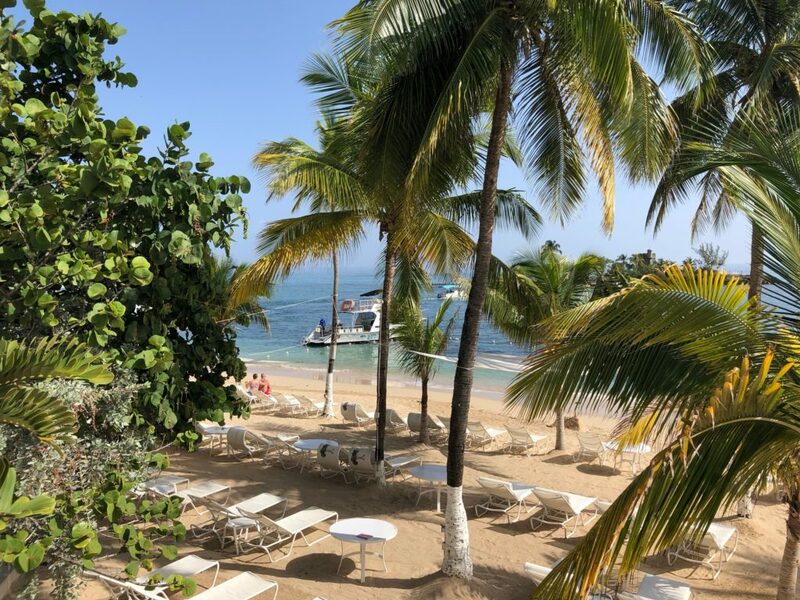 If you have never been to an all-inclusive resort, you are in for a treat – once you get to the resort almost everything related to food, drinks and activities are included in the price of your stay. I generally prefer a no-kids resort for the simple reason that children are tough for me to see. As far as the all-inclusive part of this resort, this is fantastic, because I didn’t have to carry my wallet and fumble with money to pay for things (I have a tough time discerning the different denomination bills from each other). Just this fact alone removed a significant stress from the traveling experience, it is nice to relax and enjoy my stay. There are a couple of excursions which are included in the price of your stay, a catamaran trip and a shopping trip. I’ll review these later. What is included and what is not? Most of the food and drinks are all included in your resort cost – dining comes in two distinct types, casual and dressy. In terms of casual, the Patio Restaurant was excellent buffet-style fare for breakfast, lunch and dinner. The dessert bar stayed open late, which was nice as the nightly entertainment was in the Patio. The Pool Grill, which was only a few steps from the main pool served a variety of burgers, fried foods, nachos, soda and soft-serve ice cream. We all loved the calamari and found ourselves wandering back to the Pool Grill often for snacks while relaxing in the pool. The Veggie Bar, which is right on the beach featured a variety of healthier snacks. We loved the wraps, the juice of the day and the salads. The Verandah Restaurant featured upscale dining without having to get all dressed up, as did the Bayside Restaurant which was right on the water. The Asian Fusion blend food at the Bayside featured small plates with big taste. We ended up eating there twice because we loved it so much. The blending of Asian food was very refreshing and at times a bit hot. We tried Singaporean noodles, Mandarin chicken, Indian curries, Satay and loved the variety of unique desserts. For something a little dressy, The Eight Rivers Restaurant offered the Filet, Lobster, Tiramisu and tableside-made salads you would expect from a four-course fine dining establishment. Since we had been to Couples before, we went to the “repeat offenders” dinner the second night we were there. The food was amazing and still holds as one of the best Lobster appetizers we have ever had. This dinner was well composed, well thought out and incredibly well balanced from beginning to end. The second time we ventured to the Eight Rivers was for a birthday celebration, we found the food good, but not as good as the “repeaters” dinner. The service the second time was agonizingly slow, and compositionally the dinner was not well-balanced taste-wise. The second time there, it compared to an average steakhouse. In-room dining is also included, and if you find yourself exhausted from the day, or you would just like a late-night dessert brought to your room, this option was fast, and extremely friendly. Accessibility for the food fare was difficult. The print on all of the property’s menus was small and difficult to read, especially in the lower light situations of the Verandah and Eight Rivers Restaurants. The breakfast and lunch buffet in the Patio were not as difficult as other Couples properties. The signs for the sections on the buffet were high contrast chalk on blackboard, which were about the size of a US Letter paper. Once the staff were aware that I had a vision problem, they tended to be a bit short with me, and not understanding when I didn’t see what they were pointing at. Specifically, at the omelet station, almost every day, the person wasn’t willing to tell me what the offering were to add into the omelet, they just pointed at the small containers of ham, cheese onions and other offerings without a word. This is some poor training in terms of dealing with disabled guests. As with any new situation, communication is the key to having a good experience, but in this case, it didn’t help much at all. There were no options for braille or large print menus, you are sort of on your own, especially with the low light situations. Accessibility issues aside, the food quality was outstanding. Everything we tried was tasty and prepared very well. The fruit was fresh, ripe and sweet. 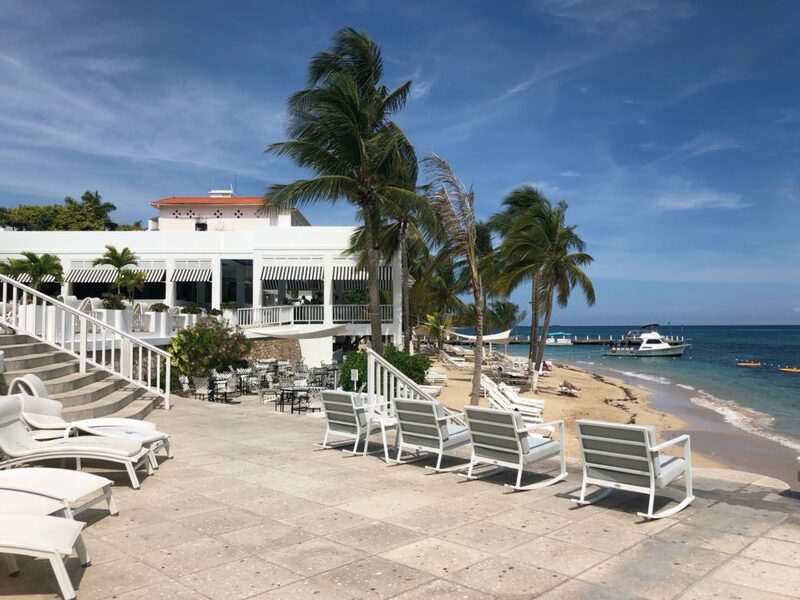 The variety and quality of the food at Couples Tower Isle is a significant step above what we had at Couples Sans Souci. Like the other Couple’s properties, the Tower Isle property had a cooking class which we attended. The chef made a curried shrimp dish which we could not wait to get home and try for ourselves. Drinks were all top shelf, name brand quality. It would be easy to expect bottom shelf liquors, but the Couple’s bars were all stocked with a good variety and quality of liquors. The frozen drinks like the dirty banana and daiquiri were a welcome treat with the heat and humidity. 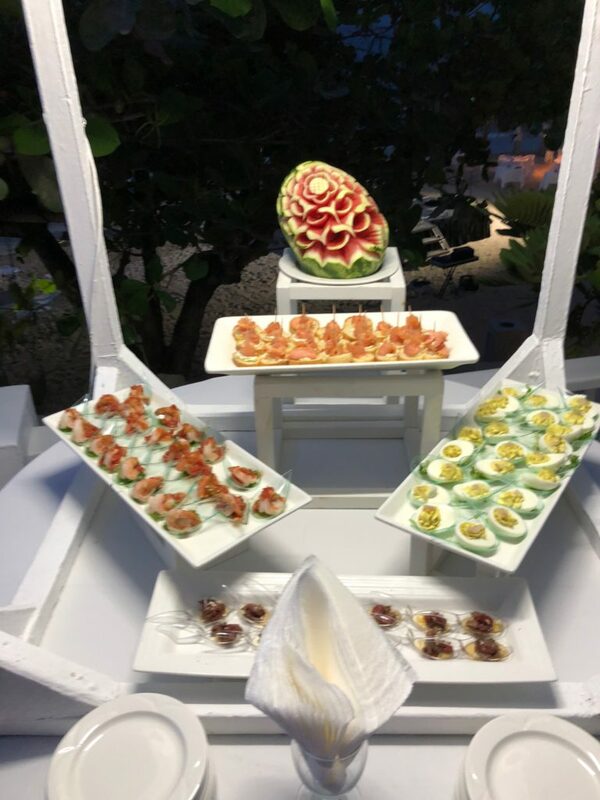 If you would like to splurge, for an extra cost, the staff will create a special dinner on the beach for you and your guest. We didn’t partake in this service, but we did see a few couples who did and (according to my friends) the spread the staff put together looked amazing. There is an additional $200 per couple charge, and this may be a perfect special occasion dinner experience. It was a nice touch that you could either have your dinner on the main beach or on Tower Isle. Navigating the grounds of Couples Tower Isle was a difficult and treacherous adventure. First and foremost, I have never been to any resort anywhere that was this dark. All the hallways to the rooms are dimly lit by recessed low wattage lights near the ceiling. During the day, these hallways were all but completely devoid of light, and during the evening hours, to say the lighting was inadequate was putting things mildly. This lack of light was also present throughout the Lobby and all other common areas. Lighting in the rooms was as you would expect from a wall and ceiling light and a couple of bedside lamps – completely acceptable. No/very little lighting in the stairwells made them treacherous especially when combined with the lack of contrast marking on the stair edges – very dangerous. Handrails were at least present. Couples Tower Isle has stairs everywhere, and with the exception of the ones in the Patio Restaurant that lead to the Lobby (which had non-slip but no contrast strips) none had any kind of contrast marking or lighting, to make matters worse, many of the stairs like the ones that leave the lobby to the beach area (which everyone uses) are not only not marked with contrast, but are uneven size. Navigating the resort after sundown is a difficult and anxiety ridden venture. The disco was well illuminated and easy to traverse, aside from the expected flashing lights. The Patio and Pool Grill were the brightest, as they have large open windows (or in the case of the Pool Grill no windows) which let in a lot of light. There are a few things that are “hotbuttons” for me as a visually impaired person/traveler, and the biggest one is clearly marked restrooms. The fact that restrooms, especially in restaurants are usually located in dark hallways gives me a special kind of anxiety when traveling to new places. 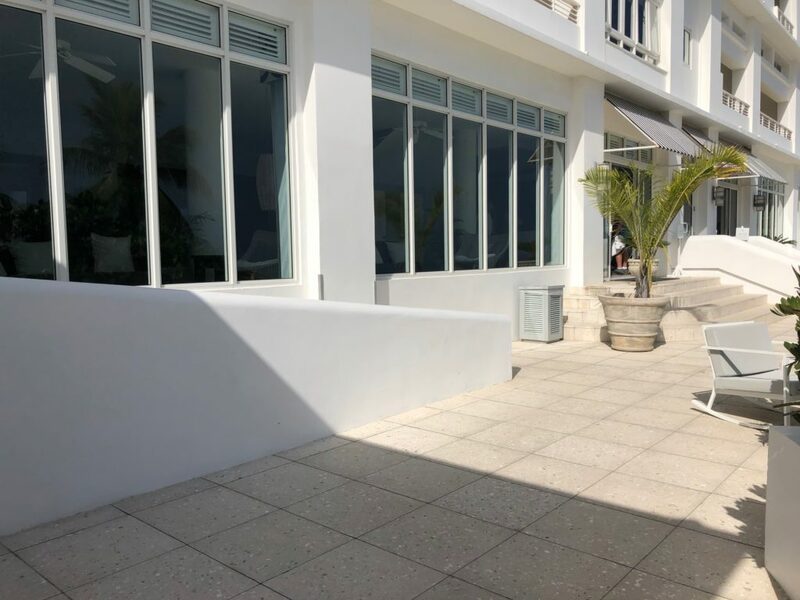 Overall the restroom accommodations at Couples Tower Isle are similar to many other resorts/hotels/restaurants in that they are difficult to find, poorly marked and typically located in dark areas. This is a common nuisance, but just because it is common everywhere doesn’t make it right. 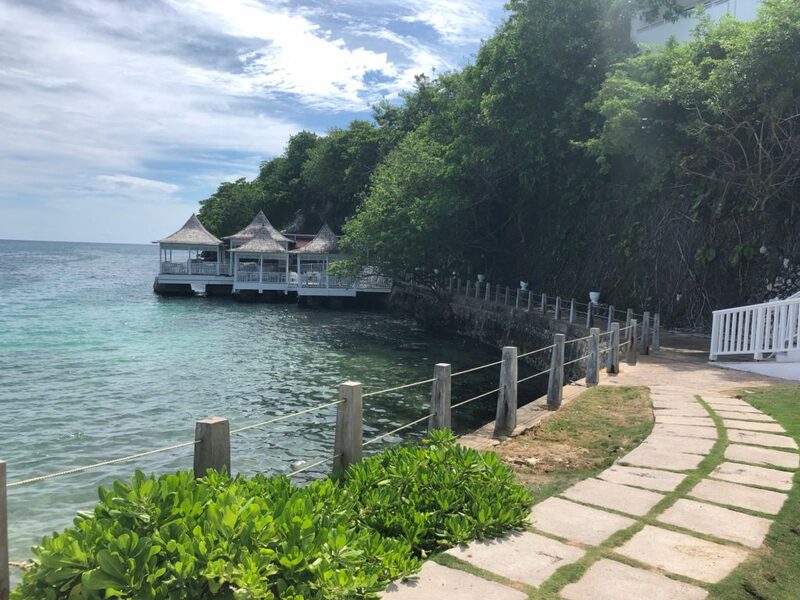 Like so many other reviews here on Blind Travels, I need to ding Couples Tower Isle for their lack of clearly marked restroom facilities throughout the resort. The signs on the restrooms are a white plaque with male and female written on them in contrasting colored font – don’t expect the typical Triangle and Circle markings, or even male and female figurines. To make matters worse, most of the lights in the restrooms are on extremely short timers, meaning that they often click off as you are walking toward the door. I’m all about saving energy, but not when it puts your guests in potential fall danger. I’m not mobility impaired, and I don’t use a wheelchair, but I did look at the offerings in terms of navigable areas for those guests with mobility restrictions. This is a review for the blind and visually impaired, but it seemed important to note that the amount of stairs in Couples Tower Isle would make wheelchair access very difficult. 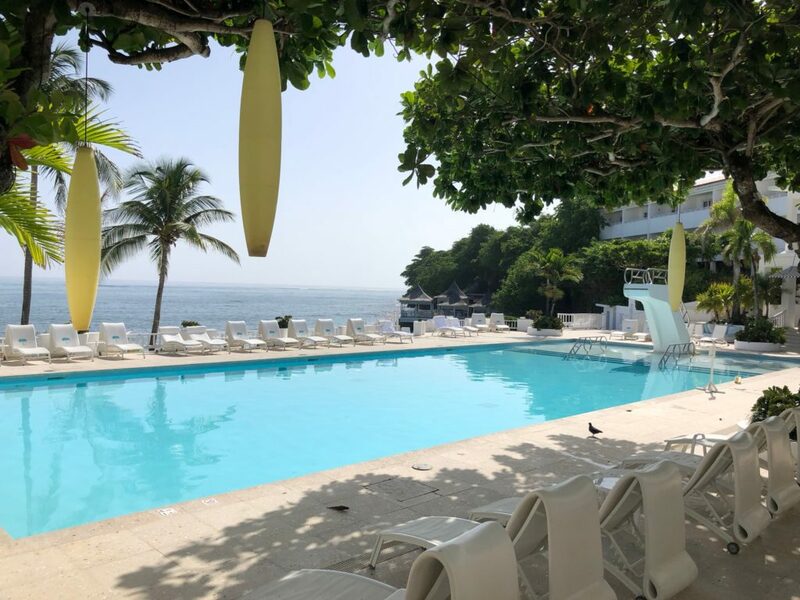 They do not have ramps to get into the pool, and there are no winches for those who are wheelchair users to enter the pools, but the toughest part was the relative inaccessibility for the beach and pool areas. Coming out of the Lobby, there is one ramp down to the main walkway that travels the whole front of the resort. 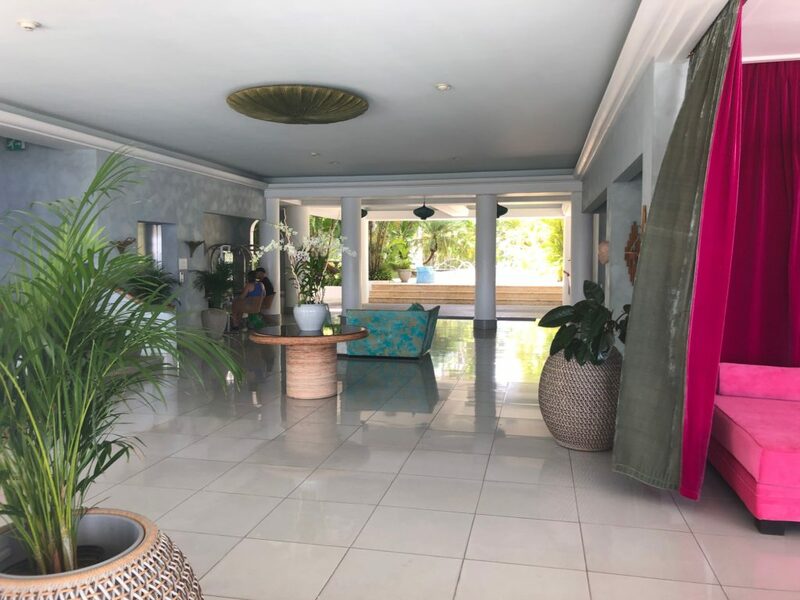 To get to the beach, one would be required to travel down from the Lobby all the way to the other side of the resort to get to the pool bar, then navigate along the area beside the water past the pool bar area to get to a grassy ramp that would allow beach access. Likewise, to get to the Patio Bar, you would have to wheel down the ramp and then all the way back outside to the main bar before you could reach a ramp to enter the restaurant. I’m not sure how a mobility impaired guests in a wheelchair would even enter the Eight Rivers Restaurant, as the only entrance appeared to be up four stairs. Again, this isn’t a review from the perspective of a mobility impaired guest, but if I was in a wheelchair, I would not want to visit this resort. The most important thing about a beach resort is of course the beach, to get there, you need to navigate the stairs form your room (or the elevator) then exit the Lobby via uneven size non-marked stairs then follow the path to the left or right where you will need to walk down more stairs that are at least even in size, but still not marked with contrast in any way. 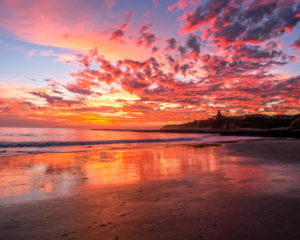 This makes trips to the beach after sunset particularly terrifying. Since we were at the resort in off-season, the weather was humid and hot, so finding a beach chair was no problem as most people hung out in the pools to keep cool. I liked the fact that the veggie bar was right on the beach and offered a variety of light snacks and juices. The beach staff was nowhere near as attentive compared to Couples Sans Souci. The swim-up pool bar had fantastic drinks and a (I am told) great view of the beach. The stairs for the pool are located on the edge of the pool farthest from the pool bar. The stairs weren’t very clearly marked, but the large handrail was a dead giveaway. Just below the water level at the bar are a row of seats all along the front and sides of the bar (watch your toes) There was only one row, so it was easy to navigate and determine if a seat was available. The pool bar staff was not overly friendly and spent most of their time chatting with each other and not the guests. There was a laminated book of drinks that were offered, but the print was incredibly small and of course there was no large print version available. Most times, the bartenders at the pool bar acted like they were too busy to interact with you and generally just gave you the same thing – never offering you something different, this was sad compared to other Couples properties. Once the bartenders learned I was visually impaired, they seemed uncomfortable and confused about interacting with me. It seems like the bar staff needs a bit more training in dealing with disabled guests, I was incredibly disappointed with this. The activities are an area I think most guests don’t venture into when staying at an all-inclusive resort like this. They are all included, why not try something new? The activity staff was not really willing to work with someone who was visually impaired, we tried the water cycles and the activities staff guy was frustrated with having to deal with someone who could not see. We also took the snorkeling trip, and to my surprise, I found the snorkeling boat staff accommodating and more than willing to help someone with a visual impairment – good job. 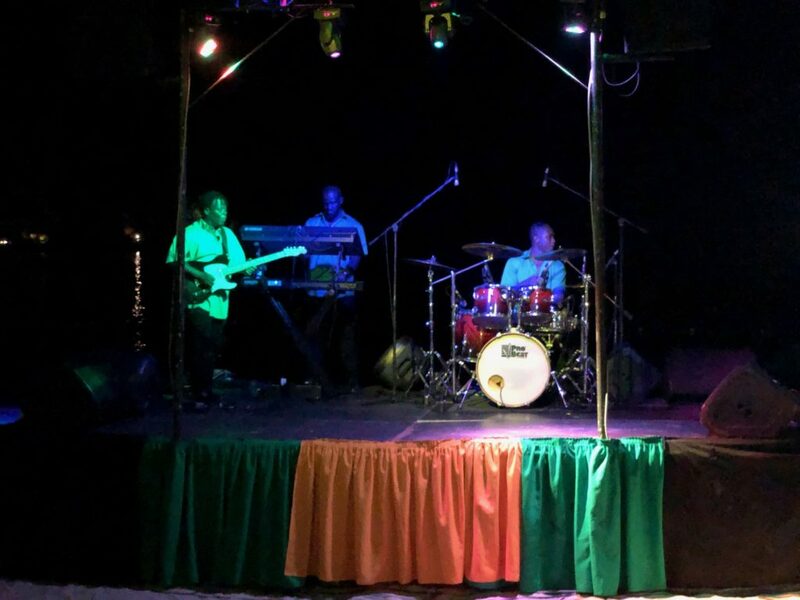 Each evening, the activities staff have events planned, from beach Luau-type feasts to musical guests and variety shows – don’t head to bed too early and miss the nightly entertainment. During the day, guests can take part in fun little events like the Newlywed game and males versus females trivia challenges. There are also fun events like dance classes, where you can learn the wobble or electric slide – to show off later at the disco. The activities calendar was written on a board in the Patio Restaurant, it was written in black pen on grey background and I found it incredibly difficult to see. I found the activities staff engaging and fun. An afternoon catamaran tour activity is included with your stay at Couples Tower Isle. After signing up for the tour, they take you for a short ride to a dock in Ocho Rios. Make sure to bring your credit cards or some cash, as there are opportunities to shop for souvenirs. Tipping is also expected for the driver and the catamaran staff. Overall, the trip was fun with music, great views of the north coast and rum punch. Where this trip fell down was in terms of accessibility. The dock and surrounding areas are incredibly treacherous for the visually impaired. To get to the boat, you walk along crumbling walkways with lots of chances to stub your toes. Once you reach the dock, there are no rails along the first half of the walkway out to the boat – terrifying for those with no depth perception and may be prone to walk off the dock. I can’t imagine how someone who is mobility impaired could traverse this area let alone get onto the catamaran. Visiting Couples Tower Isle as a visually impaired guest was a difficult and frustrating time. As I said in the introduction, I can fully imagine why someone from management would not want to talk to an accessibility reviewer. It needs to be clear to your guests that due to the age and design of this resort, it is not accessibility friendly. I struggled with the overall accessibility score for this review, I wanted to give Couples Tower Isle points in any area I could in terms of accessibility, but I couldn’t find anything. 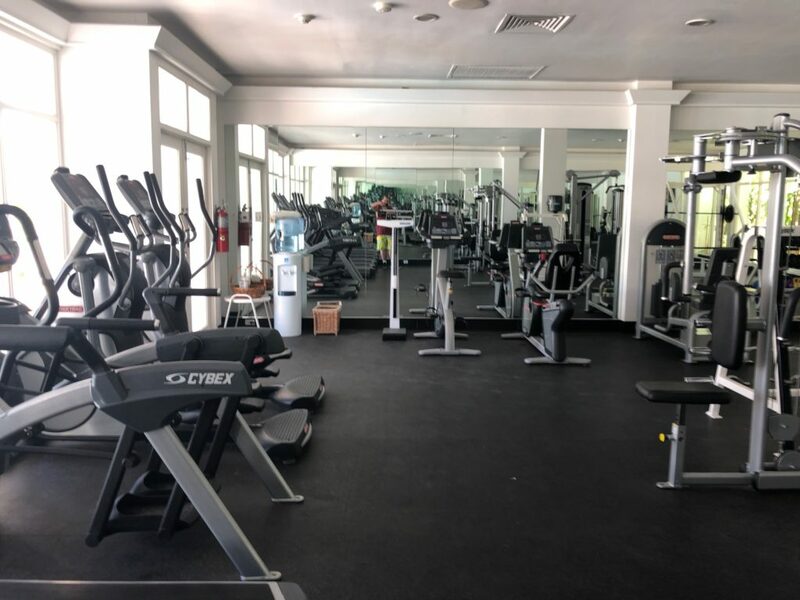 Now, if you are fully mobile and have no issues with low vision, Couples Tower Isle is a paradise, and a wonderful place to visit – but I hate to see a resort that discounts the needs of its disabled guests. If you would like to contact me, you can reach me at: nedskee@tahquechi.com also, feel free to follow me on social media @nedskee on Twitter and Instagram. Smithsonian museums are becoming more accessible in D.C. with the implementation of new tech for the visually impaired. All images on Blind Travels are copyrighted and may not be used without permission.